When it comes to hardwood flooring, no other local floor contractor serving the Irvine area can offer the superior level of service and quality craftsmanship that Carter Wood Floors is able to provide. That's because our entire team is dedicated to customer satisfaction and consists of highly trained and exceptionally skilled flooring professionals who specialize in wood. 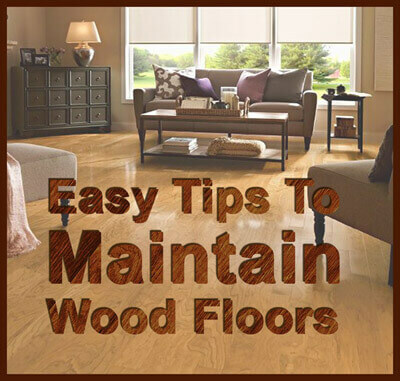 In fact, our team has worked on tens of thousands of wood floors over the last three decades. During this time, they have built a loyal following of clients who have made Carter Wood Floors their flooring contractor of choice. They continuously refer their friends, family, and acquaintances to us year after year, so that the majority of our work comes from referrals. By working with Carter Wood Floors, home and business owners in Irvine can count on getting hardwood floor sales, installation, repair, and refinishing services of the highest quality at very cost-effective rates. All of our services are customized to the needs of the client and backed by extensive contractor and manufacturer warranties. With every job that we take on, we first start with a free onsite consultation where our experts evaluate your floor. 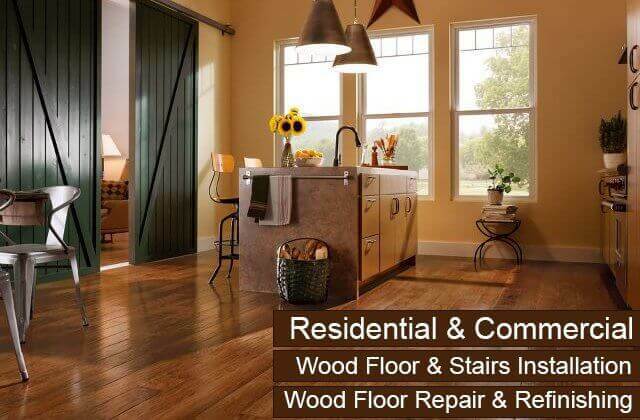 We'll help you make informed decisions about how to proceed, from determining what type of wood would look best in your home or business to deciding if your floor needs recoating, refinishing, or complete replacement. Once you have decided how to proceed, we take all the measurements we need and provide you with an upfront price estimate. On the day of the job, our flooring specialists will arrive with everything necessary to get the job done right within the timeframe promised. Most repairs are done in a day, while new floor installations and refinishing projects are completed in two to five days. 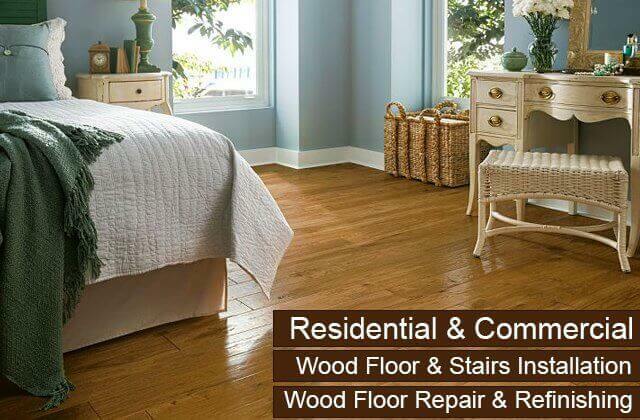 Call Carter Wood Floors today for expert advice and cost-effective flooring solutions that meet your needs in Irvine. We'll achieve the results you're looking for at a price that fits your budget. This means that we are trained and authorized to sell and install any of their products. By offering these four brands, we are providing our Irvine clients with exceptional wood and a complete array of wood flooring options. You have your choice of solid or engineered wood panels; prefinished or unfinished wood; and domestic or exotic wood types. Hardwood flooring also comes in a variety of colors, widths, textures, grades, and styles. Moreover, because we specialize in working with unfinished wood flooring, you can also choose from a wide range of stains and finishes. 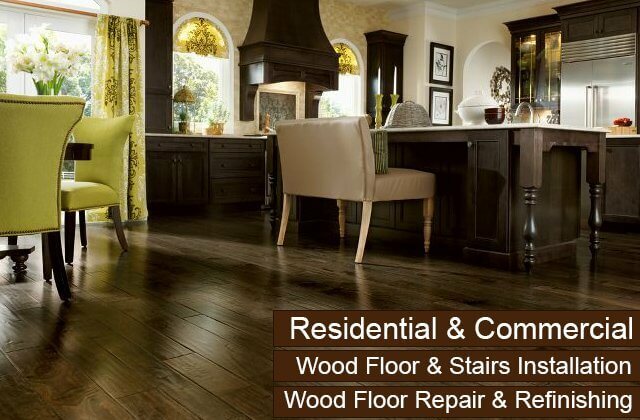 Whatever your flooring needs in Irvine, call Carter Wood Floors, the hardwood flooring sales experts, today. When you want to renovate your Irvine home or business with a new hardwood floor, be sure to have experienced craftsmen who specialize purely in wood handle your installation. At Carter Wood Floors, every hardwood flooring installation project is performed by our own team of wood flooring specialists--never subcontractors. Our team has an average of 12 years' experience and can be depended upon to apply the industry's most reliable installation methods. Moreover, they prefer to work with unfinished or raw wood to ensure that our clients get the best possible results. By having unfinished wood installed, sanded, and finished onsite, you'll get a better fit, more coating options, and incredible results. We can even coordinate your stairs, baseboards, and molding to match or accent your new hardwood floor in Irvine. Call today for a free quote. 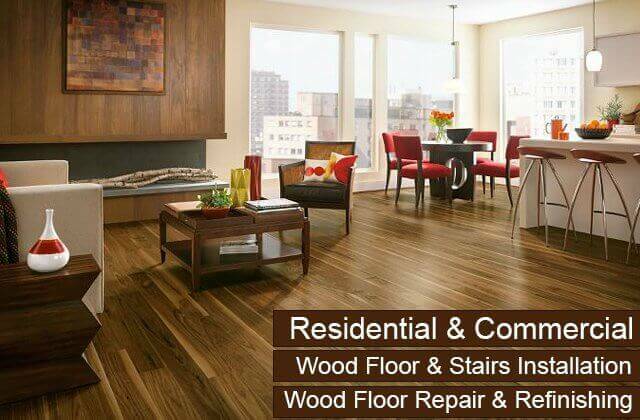 As a full-service hardwood floor company, we offer expert hardwood floor repair, recoating, refinishing, and restoration services to Irvine home and business owners, in addition to sales and installation. These services are all competitively priced and designed to offer the best return for our client's investment. That's why we always offer a free floor assessment prior to scheduling our services. From this assessment, we are able to determine the state of our client's floor and what are the best and most cost-effective solutions to restore or maintain it. Old, heavily worn or damaged floors usually require refinishing, which involves stripping the floor of any wax, sanding it using rough, medium, and fine grains, buffing, and then applying stains and finishes. They can also be in need of board replacement or other repairs. If a floor is relatively new with very light wear, we recommend recoating it as a preventative measure. 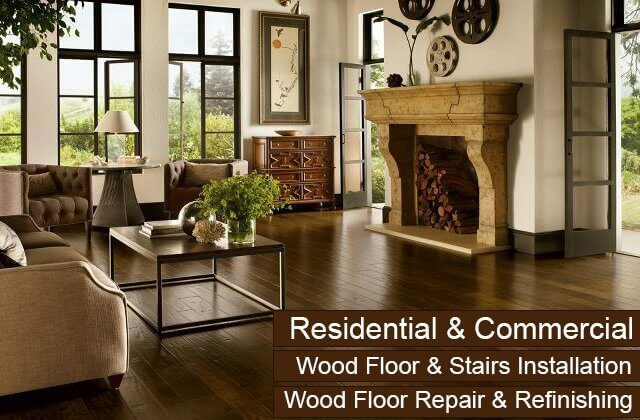 To ensure you get the honest advice and quality service you need for your floor in Irvine, call Carter Wood Floors. Once we complete our hardwood floor repair, recoat, refinish, or restoration, your finished floor will look gorgeous and elevate the sophistication of your home or business. In addition to floors, we also sell, install, and maintain hardwood for stairs in Irvine homes and businesses. We've worked on both traditional and modern staircases, including straight, spiral, floating, boxed, and one-sided. Due to the fact that every staircase is differently sized, to get the best results, you need to have your chosen hardwood configured to your unique staircase. By having Carter Wood Floors install hardwood for your stairs, you'll have skilled craftsmen cut each wood piece separately and fit it exactly to your stair's treads and risers. Our craftsmen can even cut and install wood for the posts, spindles, and railings. Because everything is custom cut, sanded, stained, and finished, hardwood stair installation usually takes three to five days. Once installed, we can also provided ongoing stair maintenance services, from repairs to recoating to complete refinishing, in Irvine. Call today for a free consultation. 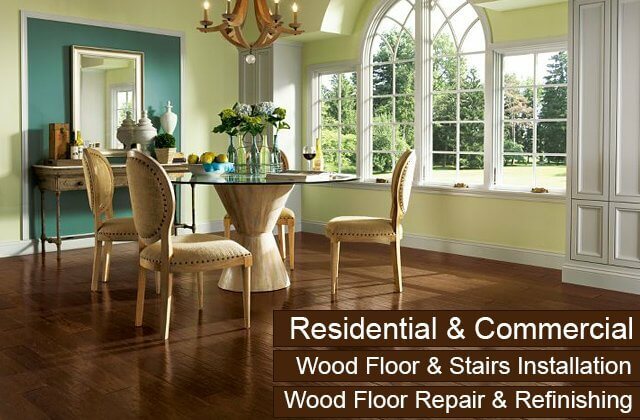 Carter Wood Floors offers Irvine businesses exceptional hardwood flooring services at a great price. We're fully insured and bonded, and carry one of the oldest flooring contractor licenses in California. We've been renovating, installing, repairing, recoating, and refinishing hardwood for commercial clients since 1981 and have built a reputation for performing quality work at a competitive price. All of our commercial wood floor services are customized to each Irvine client and backed by some of the best warranties in the business. Additionally, we go to great lengths to ensure that we minimize the disruption to your business by arriving fully prepared to the job, working efficiently, and keeping dust to a minimum. 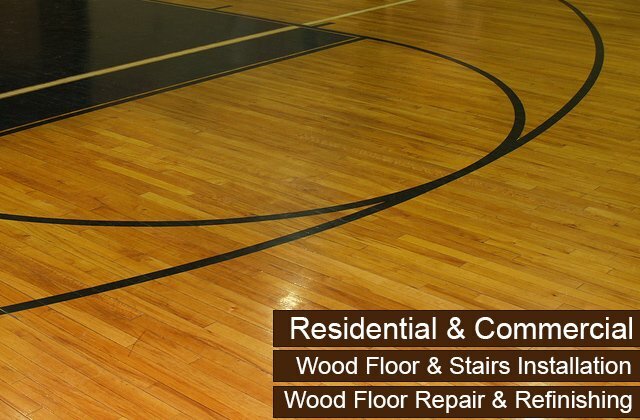 Call today for a free onsite evaluation and commercial wood floor services estimate. 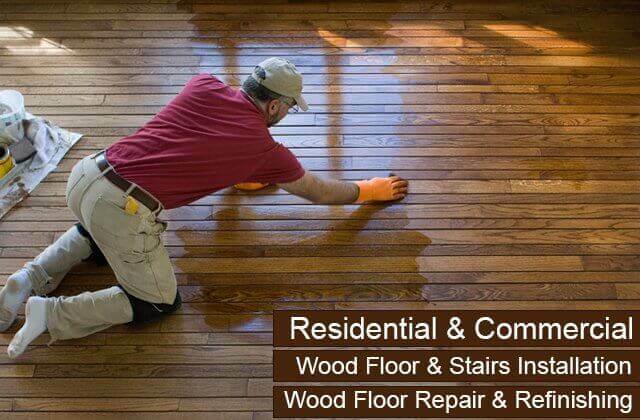 On a day to day basis, residential wood floor services make up the vast majority of our business. In fact, we average three to four wood floor projects a day for Los Angeles and Orange County homeowners, including many of them right here in Irvine. This means that we have the experience and expertise that you are looking for in a hardwood contractor. We'll provide you with the information you need to make the best decisions for your home's floor while staying within your budget. Then, once you schedule one of our services, we'll come out to your home and work quickly and carefully to get the job done according to the industry's highest standards. Call us today for all of your hardwood flooring needs. We offer Irvine homeowners the best value in hardwood floor refinishing, restoration, repair, recoating, and sales/installation.